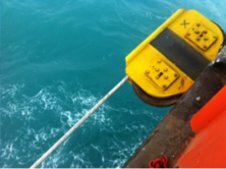 The Yadana gas field is an offshore gas field in the Andaman Sea. It is located about 60 kilometres (37 mi) offshore from the nearest landfall in Myanmar. 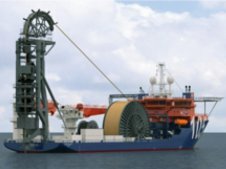 The project is focused on expanding offshore rich gas production and delivering it to the onshore Escravos Gas Plant in Escravos, Nigeria. 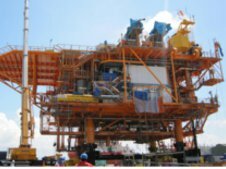 The project scope includes a nine slot 200' wd Non-Associated Gas Wellhead Platform (NWP) in the new Sonam field, and one 52' wd Gas Gathering and Compression Platform (GGCP) in the Meren field. Abu Dhabi has awarded a mega contract to expand its oil output from off- shore Umm Lulufields. Abu Dhabi Marine Operating Company (ADMA-OPCO) signed an EPC, contract for Umm Lulu (UL) full field development project package.The EPC work entails the construction and installation of six new wellhead towers along with a riser platform topside, 90 kilometers along infield pipelines, 125 kilometers longmain oil lines, and 100 kilometers long fiberoptic Cables. 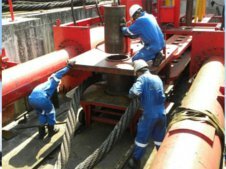 The project involves Brownfield modifications on two existing wellhead towers in UL Field. Su Tu Trang is a turn-key project using Cable Laid Slings. 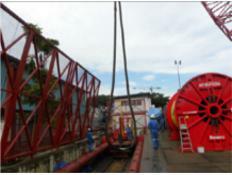 Siakap North - Petai EPCI Subsea (Malaysia) for KimPlasma RoundSling, Project Modules Heavy Lift to Kikeh. 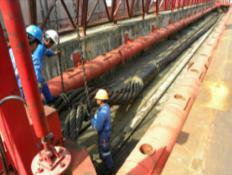 PERTAMINA HULU ENERGI - (Indonesia) for KimLock Slings, General Rigging and Green Pin Shackles. 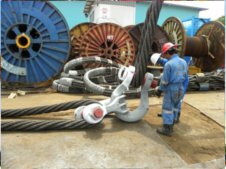 Offshore field Development (Saudi Arabia) Installation of Plasma HMPE Rope. 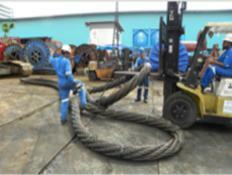 AMPA-09 HP Compressor (Brunei) using KimFlex Slings and Shackles.